This book illuminates the hidden history of South Korean birth mothers involved in the 60-year-long practice of transnational adoption. The author presents a performance-based ethnography of maternity homes, a television search show,an internet forum, and an oral history collection to develop the concept of virtual mothering, a theoretical framework in which the birth mothers' experiences of separating from, and then reconnecting with, the child, as well as their painful,ambivalent narratives of adoption losses, are rendered, felt and registered. In this, the author refuses a universal notion of motherhood. 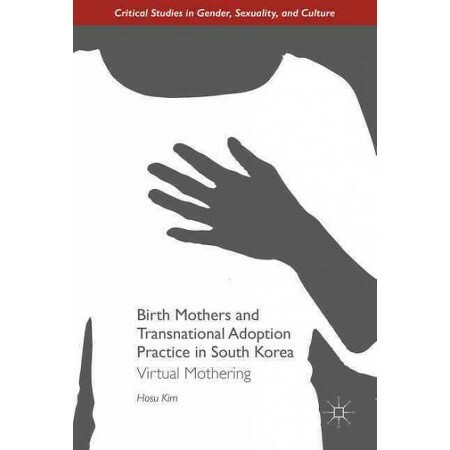 Her critique of transnational adoption and its relentless effects on birth mothers’ lives points to the everyday, normalized, gendered violence against working-class, poor, single mothers in South Korea’s modern nation-state development and illuminates the biopolitical functions of transnational adoption in managing an "excess" population. Simultaneously, her creative analysis reveals a counter-public, and counter-history, proposing the collective grievances of birth mothers.